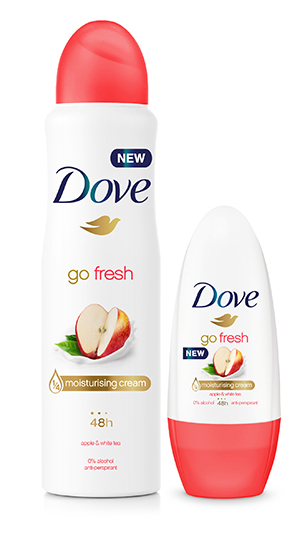 Dove has extended its Go Fresh deodorant range with a new Apple & White Tea fragrance. Offering 48-hour protection against sweat, the fruity new variant is available in two aerosol formats – 150ml and 250ml – and a 50ml roll-on. With notes of juicy apple and crisp white tea, the latest addition to the Go Fresh range offers all day freshness with its summery scent, while the ¼ moisturising cream formula leaves underarms feeling soft and smooth. Building on the popular Go Fresh range, the new offering boasts a striking bright coral pack design for optimal on-shelf impact. RRPs for the Dove Go Fresh Apple & White Tea range start from £2.65.